Cold black eyes and bruising from eye injury around the eye. If the injury is to the eyeball itself use Symphytum. 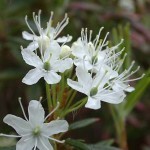 Helps with crushed fingers and toes, like Hypericum but here the pains will shoot up the limb and are better from cold. Pain from muscular rheumatism especially of of the shoulders. 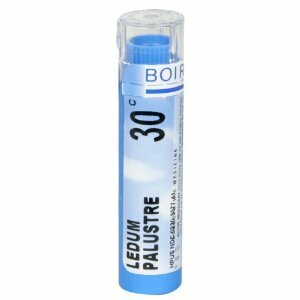 Helps with tendency to sprain ankles, with ankle swelling and painful soles of the feet. For long lasting skin discoloration after sports injuries, use when Arnica does not clear up the bruising. Wounds that are painful to the touch and feel cool to the touch. Abscesses and septic conditions are very tender and better with cold applications. For animals bites including cats, dogs and snakes. For puncture wounds of any type, such as stepping on a rusty nail. Pain is worse at night; heat of bed. Pain is better from cold compresses or cold. 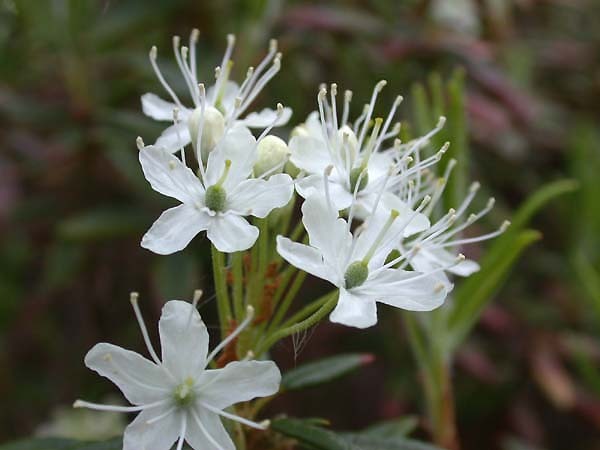 Plant remedy known as Marsh Tea, made from Wild Rosemary using the fresh herb. #1 remedy for prevention of Lyme Disease from tic bites! #1 remedy for prevention of tetanus from a puncture or other wounds.